Zonnezicht Retirement Village currently being developed in central Durbanville by Anton Mulder Developers. 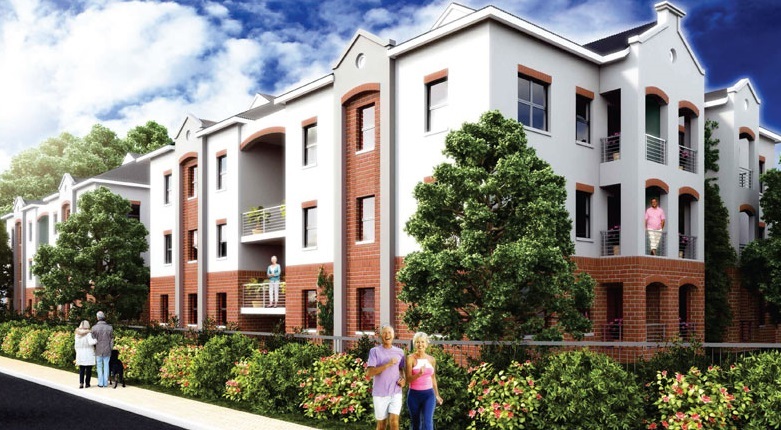 This three phase development which is under construction on the corner of Koeberg & Park Roads, Durbanville has one and two bedrooms apartments available, with a total of 180 two bedroom apartments in phase 1. The selling price of R2.5 mil per apartment, includes frail care, clubhouse and secured underground parking.